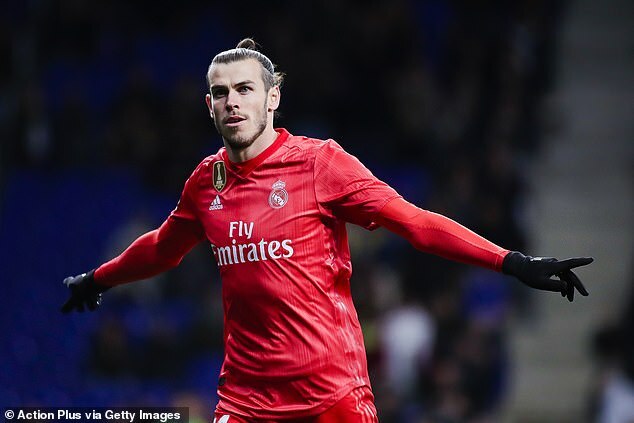 Gareth Bale’s agent Jonathan Barnett has hit out at ‘stupid’ claims Gareth Bale is unhappy at Real Madrid, and at critics of the ‘superstar’ Welshman. Injuries have plagued Gareth Bale since his arrival at Real Madrid, and it has been no different this season, as he’s started just 14 games in La Liga. A recent fan poll showed that despite Bale’s huge medal haul and bags of goals, over half of Real Madrid supporters believed Bale should be on the sidelines as they look to improve after a rocky start. ‘Gareth has always been respectful to the fans, and on certain occasions fans have been angry with him, perhaps unfairly. But now fans have realised they were wrong, he’s a superstar, a player at the height of Real Madrid. Despite inconsistency with his fitness, Bale has proved his worth for Real Madrid, scoring 99 goals and getting 63 assists in 213 appearances, more than he achieved at Tottenham Hotspur.